I know you think these Easter chick tarts are adorable and they are, even better to eat after a lovely Easter dinner or for a treat. Well it’s Easter weekend and I wanted something different from the Easter cupcakes to take with me for the kids when we go to our pot-luck Easter dinner on Friday. So thinking ahead (as one of the kids has an egg allergy) I thought if I made some Easter nests or as I call them Easter chick tarts. These are a great dessert for them to have that’s not too sweet, easy to make and something that they can all eat. There’s about 12 kids in the group from 11-3 so I had to do something that was tasty and eye-popping. I am also going to use my favourite cake decorating book for this recipe called “Cupcakes, Cookies & Pie, Oh My” by Karen Tack & Alan Richardson. It really is a great cookbook to have on hand to show you how to use simple everyday sweets and biscuits and turn them into masterpieces. I have used it a few times for cupcakes for my son’s kindergarten class. When he was younger we made shoes for the girls and frogs and monsters for the boys. Today I will be attempting the chickens as it’s Easter. I am also taking my Easter shortbread bunnies with lemon drizzle along with me for the adults as you can never have enough desserts at the table. A full day of eating, chatting and surrounded by friends is my perfect Easter dinner. There is no theme just a pot-luck so already on the menu is a popcorn salad, glazed ham, twice baked potato skins (we always get asked to bring these they are a favourite), homemade baked beans and pork sausage. There are also a few other salads, veggie dips, and no meal is complete without homemade dinner rolls. If you are looking for an egg-free Easter treat that is not too sweet this is the one. Place the pastry cases on tray and bake. Once cooked let cool. Mix up vanilla pudding as per box instructions. Stir the coconut extract and pudding mix together and place into pastry tarts until they are about half way up. Pre-heat oven to 350oF and place coconut onto parchment paper and cook in oven until toasted. Shake tray every few minutes to ensure you don't burn coconut. Coconut should come out golden brown, transfer and let cool. Cut the orange licorice into 12¾ inch triangles with scissors. Cut the red licorice crosswise into 36 thin slices with scissors. For the nests, sprinkle the edges (or top them fully if it's just a nest) of pies with some of the toasted coconut. For the chicks divide the whipped topping among 2 ziplock bags. Press out the excess air and close bags. Working with one bag at a time, keeping the others refrigerated, snip a corner from the bag. For the body, pipe a large dollop of whipped topping in the centre of a pie allowing it to form a peak at one end for the tail. Then pipe a smaller dollop for the head. Then pipe a wing at either side of the head. Then using the licorice use the orange for the beak and three red thin slices for the tuff on the head and then for the hens wattle (flappy bits under their necks). Use the chocolate chips for eyes and using either chocolate eggs on white jelly beans around the nest to look like eggs. With the rest of the custard I topped them off with a strawberry and some glaze to make some tarts too. 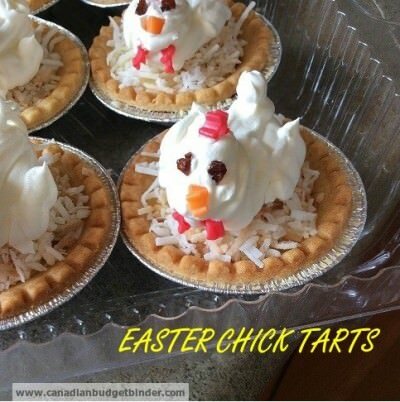 So enjoy your Easter dinner followed by some Easter chick tarts and from my home to yours have a lovely Easter. It’s one of those recipes that always pleases everybody! That is so cute. They sound easy too which is necessary for me! They remind me of these little chick marshmallow treats my mother used to make at Easter time for me and my brothers. They were so yum! For sure those Easter tarts are very delicious! Last Easter I bought some a cake and cooked some Filipino menus after going to a religious procession. Those Easter tarts look amazing! I would definitely try my hand at those! I like Christine’s idea of using whipped cream I don’t know why but both my kids like fresh cream that has been whipped. 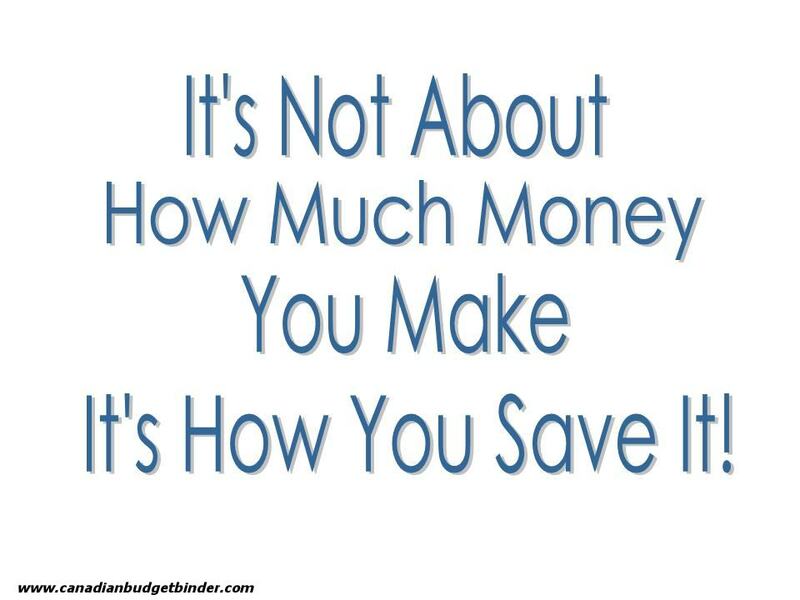 I definitely will keep this in mind for my dessert arsenal as well! These look amazing Nicola!!! I might use whipped cream in place of the cool whip as some here don’t care for the cool whip. Your potluck sounds like our family get togethers…everyone brings part of the meal, we have a lovely visit and we all pitch in to help clean up…. I keep getting asked to bring the desserts…lol!! Not sure if that’s because it’s all so good or because my sisters-in-law are always on diets and I bring any leftovers back home away from tempting them… Mind you they all grab a few bites to take home with them.. One loves carrot cake so I always make that for her, she will cut off a couple of ‘little’ pieces to have later and the rest of the family knows better than to even think of going near Mom’s cake!!!! Hope you and the family have a wonderful Easter!!! !